Bryan Cranston has been in some unseemly places. Meth labs, seedy dentists’ offices, and worst of all, Family Guy. But now Cranston is visiting somewhere far more dangerous, the most crime-infested place in America: CBS’ primetime lineup. Cranston, alongside House creator David Shore, is producing Sneaky Pete, an hourlong crime drama that should be right at home on TV’s crime investigating-est network. During his years as Walter White, Cranston learned that the secret to success is simple chemistry. Sneaky Pete simply takes one part Mad Men (a con man leaves prison and assumes his cellmate’s identity to escape his past), mixes in a little Sopranos (he hides out from the mafia while working as a bail bondsman), filters through some vaporized The Blacklist (and works to take down more hardened criminals), and you’ve got pure, crystallized Neilsen ratings. Or a massive explosion. Time will tell. 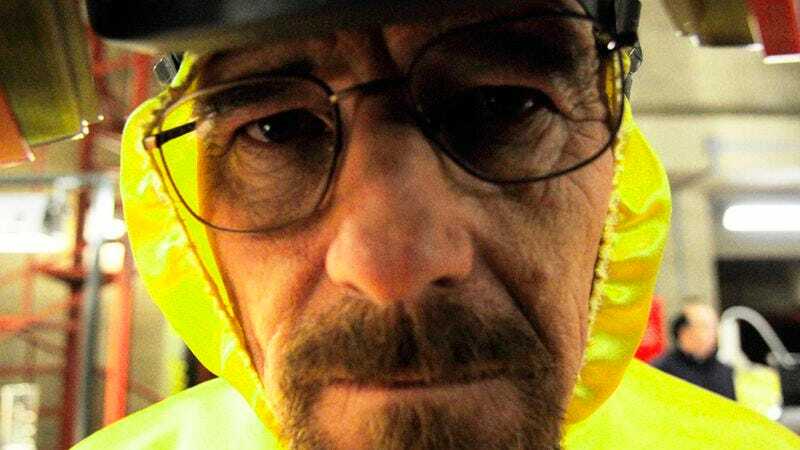 Cranston’s been busy as of late, as he’s also producing a comedy based on Conn and Hal Iggulden’s Dangerous Book For Boys, and will spend the next few years dodging rumors about guest appearances on Better Call Saul.